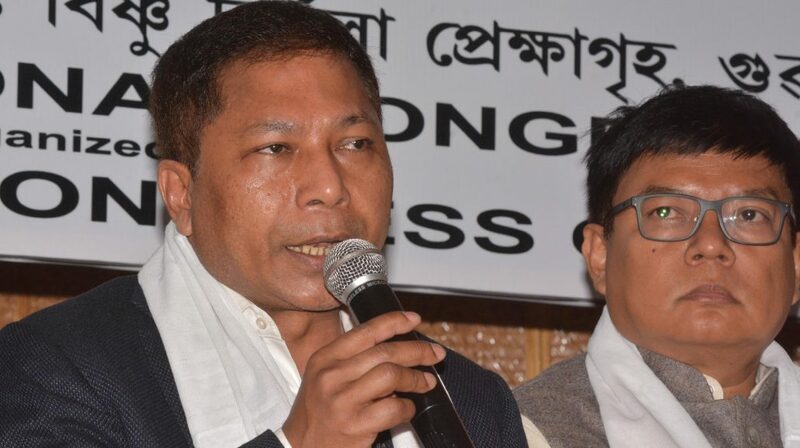 Terming that Citizenship (Amendment) Bill 2016 is a long agenda of the RSS, former Meghalaya chief minister Mukul Sangma on Monday said that Meghalaya chief minister Conrad Sangma and Assam chief minister Sarbananda Sonowal are making trips to Delhi to make some ‘tamasha’. Sangma said this while interacting with reporters in Guwahati on Monday adding that the people of the country will respond to the loot of the BJP in the 2019 Lok Sabha polls. “Do you believe that Sonwal or Conrad Sangma were not now aware that the BJP will bring this Bill? Can Conrad Sangma or Sonowal tell Modi that they don’t want the Bill? After the Bill is passed in Lok Sabha they are making trips to Delhi to make ‘tamasha’,” said the former Meghalaya chief minister, who was in Guwahati on Monday to take part in a consultative meet to prepare the Congress manifesto for the 2019 polls. “First this government tried to bring work permit for illegal immigrants and then this bill. This is nothing but conspiracy against the people of Northeast. BJP has betrayed the people of region and is trying to crush us. All their police are anti-Northeast India,” Sangma said. “The Central government has been engaged in meticulous plans to deprive the northeastern states. The government at the Centre has stopped the funds under Non Lapsable Central Pool of Resources (NLCPR). “The government said that he funds would not be released until new guidelines are issued. However, the government is yet to issue the new guidelines. Even some of the ongoing projects under the North Eastern Council (NEC) have been affected in the region due to this attitude of the government,” said Sangma. “The government is also duping the people and looting them on the pretext of schemes like Prime Ministers’ Ujjala Yojana, which provides LPG connection to women. “The price of LPG cylinder in our time was around Rs. 380, which have gone up to Rs. 1100 now. Is it not looting? The people will respond to this in the forthcoming Lok Sabha polls,” he added.